Submitted 6 months 2 weeks ago by FeedsFloor. Do you know the companies located in your building or office? If you administer a startup incubator, office hub or building, you can now easily show the companies located in your office on screens and online. Visitors can easily get an overview of the companies that are located in your office on large screens. The companies themselves can quickly find interesting companies to collaborate with. In particular if you have many freelancers or small companies in your office hub, then it is difficult to remember who does what and sell what. 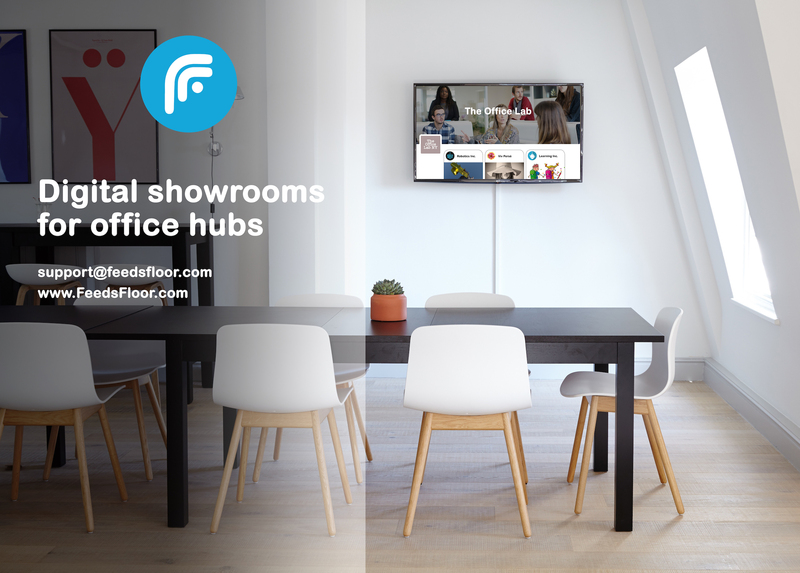 A digital showroom at FeedsFloor offers an easy way to showcase all the companies and their products and services both online and on large screens.